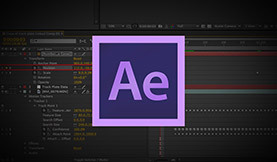 Learn how to use trackers in Lesson 9 of our After Effects Fundamentals course. One of the coolest features in After Effects is the ability to track footage. 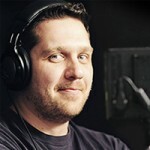 Tracking opens up a world of possibilities for both the visual effects artist and director of photography. Instead of shooting VFX on a locked-off tripod, filmmakers have more leeway when shooting (even with camera shake). VFX can then be applied to a scene courtesy of motion tracking. If you want to make objects blend exceptionally well try using motion blur. It will take your object’s hard edges and make them more realistic. Stay tuned for the final video in our After Effects Fundamental series. Also, explore more After Effects tutorials here on the Premiumbeat blog, read the latest filmmaking news and pick up some post-production tricks! Having trouble tracking in After Effects? Have any questions? Let us know in the comments below.